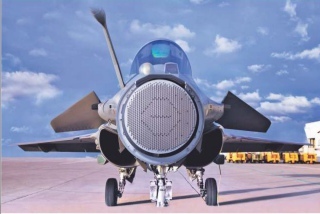 GURGAON, India - May 15, 2015 - PRLog -- According to an item published in the latest issue of Indian Military Review the Dassault Rafale fighter aircraft will come fitted with the Thales RBE2. Combined with the NIIP N011M Bars and the Zhuk-ME/AE-AESA radars already mounted on the MiG-29 and Su-30MKI, the Indian Air Force is set to achieve complete superiority over the adversaries. Giving details, the new issue of Indian Military Review, published from Gurgaon said that the radar is the most important hardware for any combat aircraft. It determines the aircraft's survival in the modern battlefield. Beyond visual range is an important mode of engagement which allows any fighter pilot to ensure in less time the engagement & a reasonable kill probability. After detecting the target it should be able prioritize targets. With the appropriate parameters satisfied and the target in the missile's no escape zone the missile the launch is authorised. For air-to-surface engagement, an aircraft should necessarily posses a radar that can detect, track and engage vessels or warships at long distances so as to ensure that the aircraft doesn't get into the ship's air defence zone and prompts their activation. Similarly the radar optimises close air support by giving the aircraft the ability of guiding sophisticated air-to-surface missiles and guided bombs with precision to the target. Radar's synthetic aperture radar mapping is important for reconnaissance roles & for high resolution imagery of ground based targets. Target aircraft's usually deploy electronic countermeasures or jamming measures to prevent aircraft's radar to avoid a missile lock by producing and directing high noise signals whose output is more than that of the aircraft's radar. In such an environment we need a radar with high power output to ensure adequate radar energy reflects back from the target at suitable distances and enable a missile lock. Phazotron has updated the radar on the MIG-29 and upgraded it with no change in the overall dimensions so that there is no change in the airframe. It has used advanced TR modules, which not only provide better performance in all parameters but are not very expensive as they retain many components of the previous design.The new radar would use a new antenna and Analogue/Digital Converter (ADC) design, a new exciter/driver stage and retain the existing receiver, processors, and coherent oscillator. Similarly, the Zhuk AE-AESA radar's design has drastically reduced the problem of thermal management. Major changes have been introduced and many old designs which were less efficient and caused problems of incoherence and other error producing layouts have been changed. Further upgrades include full automation of AESA component testing, signal simulators to permit more extensive testing of operating modes and performance, better firmware and software for the radar's processing components, more effective algorithms for signal processing and beam control, and a statistical database for managing reliability over the lifecycle of the equipment. An overview of the radar concludes that despite underinvestment in the field of high density packaging techniques/component packaging, the Zhuk radar series is the most viable design and cost effective. It is quite suitable for the role of a short to mid-range multi-role combat aircraft and with excellent performance in detection, tracking and engaging various targets on multiple platforms. The radar features improved signal processing and has a detection range of up to 120 km vs a 5 m2 RCS target for the export variant, and up to 10 targets tracked and up to 4 attacked at once in air-to-air mode. The tracking range is 0.83-0.85 of the detection range. In air-to-surface mode the radar can detect a tank from up to 25 km away and a bridge from 120 km away, a naval destroyer could be detected up to 300 km away and up to two surface targets can be tracked at once. The radar is compatible with R-77, R-27 (ER) and R-73 missiles. NIIP’s N011M radar, the second member of Bars radar family, uses an electronically scanned slotted planar antenna with the experience gained from the development of the N007 Zaslon. In an effort to improve performance the antenna design was changed to a multi-channel passive electronically scanned array (PESA). The Bars radar can be fixed in position to give a scanning sector of ±70 degrees in azimuth and ±45 degrees in elevation. To improve scan coverage, the radar can also be mounted on electromechanical drives and, in this case, the scanning sector is expanded to ±90 degrees and is capable of positioning beams in 400 microseconds, a huge advantage over mechanically scanned radar. N011M has a search range of 400 km and a tracking range of 200 km, with 60 km in the rear in the air-to-air mode. Detection ranges are up to 140 km on towards course and up to 60 km in pursuit. Up to 15 air targets can be tracked at once in track while scan mode with 4 of these engaged at once. The N011M can use a number of short range and speed search modes and is capable of identifying the type and number of multiple targets. In the air-to-surface mode the radar is capable of detecting ground and naval based moving targets, determining their location and maintaining a track on two surface targets at once. The N011 is capable of detecting a group of tanks target to a maximum range of 40–50 km and a destroyer sized target to a range of 80–120 km. Bars also features a mapping mode using either real beam, Doppler beam sharpening or synthetic aperture radar (SAR) with a maximum resolution of 10 meters. The N011M outclasses or equals most of its competitors in detection range, compatibility with variety of air to air, air to ground and air to surface weaponry, higher power output of the modules, better side lobe performance, target aspect identification and thermal stability. In air defence role, the Thales RBE2 can detect targets at long ranges and track them in fully automatic mode, sorting and ranking tracked targets independent of search volume. Active electronic scanning makes it possible to switch radar modes quickly, thereby enabling operational functions to run simultaneously. With an extensive integration of many advanced high performance processors the radar is compatible with all aspect BVR and WVR missiles. With its superfast signal and data processing RBE2 enables the pilot to track large numbers of targets, manage multiple missile engagements, control multiple missiles in flight, and perform other functions important to the management of the radar's operation.